In the 12 century the first "cannons" came to life and in the beginning shooting arrows only just as a "turbocharged" bow. Potassium nitrate, Sulphur and Charcoal was what gunpowder was made of; the burn intensity was controlled by the form and weight of the powder grains. When powder burns it transform to gas, gas that’s needs 400 times the same space as the powder. And that in 0 Celsius temperatures, when the temp arise so will also the volume of the gas. The pressure that builds up from the gas pushes the bullet out of the barrel in an increasing velocity. In the 18nth century the primer was developed and in the beginning was used to ignite the powder from the side of the barrel. In the last years of 1800, all the technology both in chemistry and metalworking produced "our" cartridge of today. 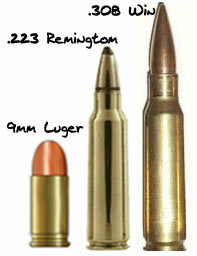 of today but today's high pressure and small calibers cartridges have a bottleneck case just as the two above. Paul Mauser 1838-1914 and his brother, Wilhelm Mauser 1834-1882,are two of the fathers of today's modern rifle . famous gun, the M98 is still one of the top guns thanks to the inbuilt strength of its design and foolproof functionality. John Moses Browning 1855-1926 with pistol designs. Those two gentlemen's designs can still be found on today handguns. ake a look at this evolution of today. We are back at cartridges without a case just like in the beginning of our story. G11 H&K and the 4,73x33 mm caseless cartridge. Let us take a closer loook at the different years of importance for the guns, powders and cartridges. 1397 The word Pistol comes from Pistola in Italy, crude handguns where known at that time. 1498 Those last years before 1500, rifling is invented. 1550 Rifled arms are made and innovations like “hair trigger” are in use in Germany. 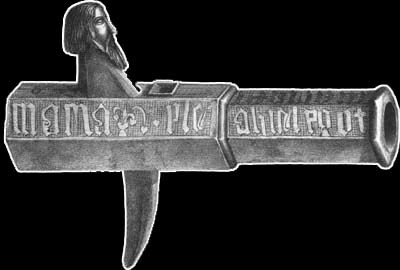 1630 The flintlock gun is born and a few years later the French introduced the bayonet. 1690 The English army was equipped with the flintlock gun. 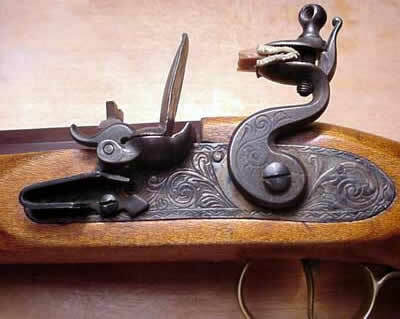 1730 The first hammerless sport guns where made in Prague at that time. 1789 This is the first patent for single trigger locks for double-barrelled arms. 1800 At that time the duelling pistols are truly masterpieces of gun and art. 1795 Springfield Armory established that year. 1807 Alexander Forsyth patented the percussion cap. 1825 The percussion cap took the place of the flint principle. 1835 Flobert from Paris started to made rimfire cartridges. 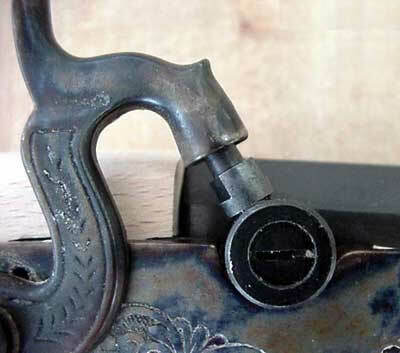 1835 Colt reinvented parts of the revolving mechanism used in Europe years before :). 1840 Breech-loading guns with the needle type of cartridges are patented this year. 1850 The Minie service rifle is introduced in GB. 1852 C. Lancaster made one of the first under lever guns with centerfire cartridges. 1859 The first patented revolver with central fire cartridges. 1860 The year of the Spencer and Henry rifles. 1865 After the Civil war metallic cartridges were introduced. 1866 Winchester was founded that year. 1870 The first European magazine rifle, the Swiss Vetterli. 1873 The Singel Action Army Colt in .45 Colt caliber is born. 1875 The year of the first bolt action military guns. Luger P08 pistol and introduced the 9mm Parabellum ( 9mm Luger, 9X19mm)cartridge to it. 1898 Paul Mauser makes his -98 Bolt action gun still made today for civilian use. Most innovations the last 100 years are on the metal that guns and cartridges are made from, bullet and gun powder technology. Thank God thou that are still companies out there who actually employ real humans to make guns and not only C.N.C. computer operated machinery.